Slabjacking is faster, less intrusive and more environmentally friendly than concrete replacement. 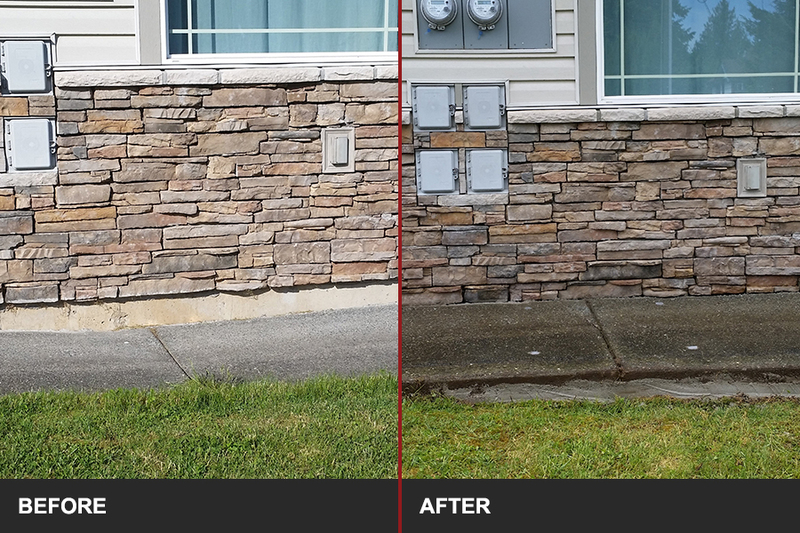 Colour and surface texture remains consistent with the surrounding concrete, increasing property value and preventing damage. No need to break up, remove, replace and dispose of existing slabs. If your concrete has sunk it is probably due to improper compaction of the fill material during construction. This problem is compounded by rain water washing away particles creating voids beneath the slab and causing it to drop. 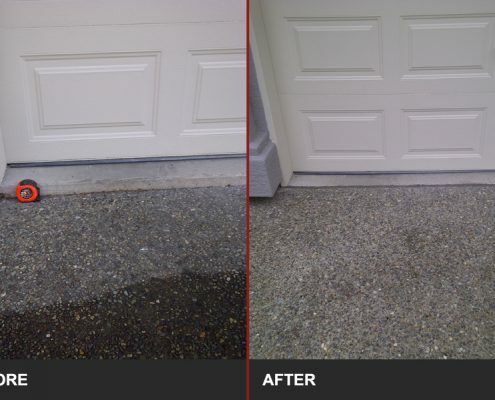 Our Slabjacking services: traditional mudjacking or polyurethane (foam) lifting, are both excellent restoration solutions for this common problem. We will recommend the most cost-effective solution for your sunken concrete issues depending on the application and location. 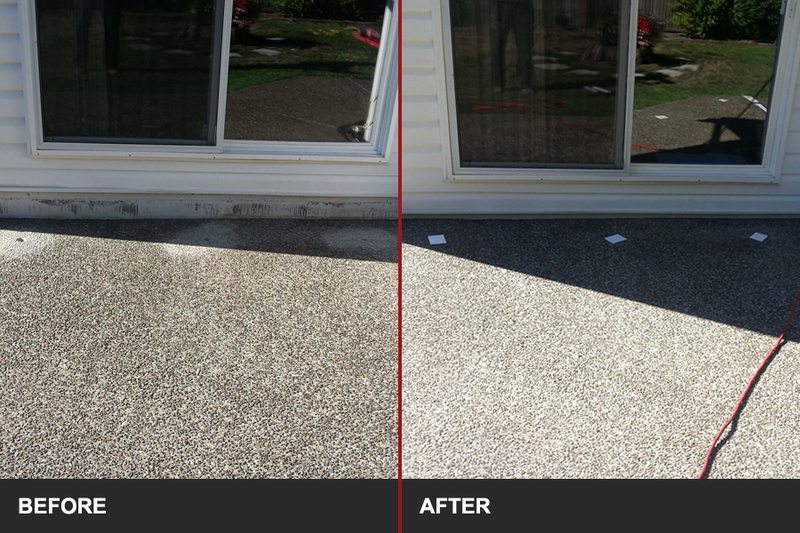 Bring cracked or damaged concrete back to grade. Conventional mudjacking is a lower cost and is often more suited to outdoor applications. Polyurethane (foam) lifting is ideal for indoor and tough access sites, as it does not require running a gas powered engine indoors and, overall, is a more efficient and clean solution. Both processes involve the drilling of a series of small holes in the surface of the slab (read more here for mudjacking vs polyurethane foam lifting). A mixture is then pumped through the holes to fill the voids. When the voids are full the slab begins to rise until the proper level is reached. Safe and Cost Effective – no need to break up, remove, replace and dispose of existing slabs. 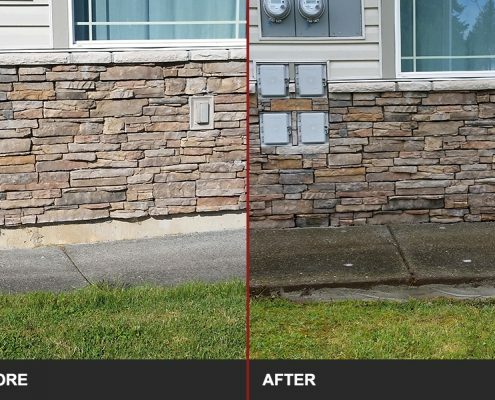 Visual Appeal – the colour and surface texture will remain consistent with the surrounding concrete, increasing property value, improving curb appeal and helping to prevent property damage. Minimally Disruptive – Concrete raising services are significantly faster, less intrusive and environmentally friendly than concrete replacement services. Contact Concrete Corrections for a free slabjacking estimate and to see whether slab jacking is suitable for your concrete issue. Offsets or “tripping hazards” are created when concrete slabs sink. In addition to personal or business safety concerns, a concrete slab may develop improper “pitch” or the angle of water run-off. Serious foundation and structural damage can result from improperly “pitched” concrete. Concrete slabs are often installed on poorly compacted fill dirt. Sub-surface erosion and shrinking soil are also contributing factors. Fill dirt is almost always placed closest to the slides of a new house and garage, after the foundation work is completed. Time constraints and completion deadlines make it difficult for a builder to take the time to properly compact this dirt. natural settling often takes seven years or more in areas of clay soil. How does concrete leveling work? The technology to lift concrete has been around for centuries. Concrete leveling is a process that involves pumping a dense material under pressure, underneath a sunken concrete block, raising it into its original position. A small (2″) hole is precisely drilled through the affected concrete block. A highly dense, finely crushed limestone (sometimes combined with cement) is mixed with water in a “slurry” consistency and pumped into the holes. The material fills any “void” areas that have been created by water erosion or compaction. As it begins to flow under the slab, it exerts an equal pressure on every square inch of concrete that the pump produces. Thus, if the pump produces just 5-10 pounds per square inch pressure, it can easily raise the slab. Once the voids have been filled, the block will be pressurized and begin to rise. Through precise placement of the holes, and control of the amounts of material injected, the block will be carefully moved into the correct position. Common applications for residential concrete leveling include: sidewalks, steps, patios, driveways, swimming pools, garage floors, and interior slabs. Many people have replaced slabs that are in perfect condition only tilted or sunken. Demolition and replacement of concrete is expensive, messy and time consuming. The term concrete leveling has been used since the inception of the industry. Industrial terminology can by confusing. The purpose of the process is to eliminate “offsets” or “tripping hazards” or to properly “pitch” (angle) the affected slabs. If concrete were actually level, water would not run off. A more accurate term would be “concrete raising”. How long has concrete leveling been in existence? Accounts of raising large cement slabs through the use of hydraulic pressure go back almost a century. Mud jacking or slab jacking has been in common use for about 50 years. Generally in mud jacking or slab jacking a portable pump with an assembled extension hose is carried to the location of the block to be raised. A hole of up to 3 inches in diameter is drilled into the block. Varying combinations of soil, sand cement or other materials are mixed and then injected under the sunken concrete block causing it to rise. What are the benefits of concrete Leveling over replacement? The cost of leveling usually represents a savings of at least 50% over replacement. The leveling process can be completed and ready for use in a matter of hours. Landscaping and adjacent areas are usually unaffected by our process. Injection of our materials help to fill voids and stabilize low-density soils. 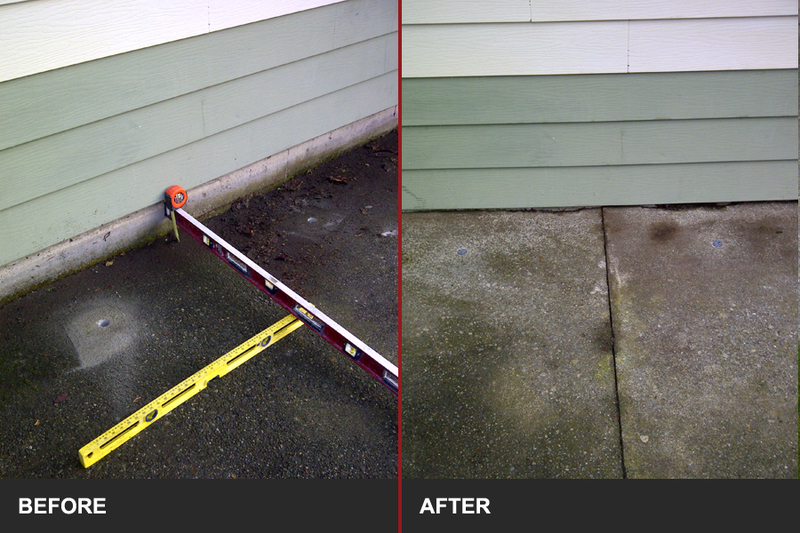 Leveling maintains the uniform color of your concrete slabs. Concrete leveling reduces job time, energy utilization, and environmental problems associated with concrete demolition and disposal. No Municipal Building Permits required. Can any concrete slab or block be raised or leveled? Generally, yes. However, when large areas have crumbled or deteriorated, replacing the concrete may be the only option. Our concrete appears to have "raised up". Can concrete slabs be lowered? Generally, no. however, adjacent slabs can be raised to “match and even” thereby eliminating “offsets” or “tripping hazards”. Our driveway is leaning toward the house, and water has appeared on our basement wall. Water is leaking into our basement. Can our cement be raised to direct water away from the house? In most cases, we are able to lift the driveway or patio blocks to allow the blocks to “pitch” away from the structure. This method combined with caulking or sealing or cracks and joints often improves problems associated with water seepage. Raising concrete blocks will not completely solve water problems if footing drains have a failed or other drainage problems exist. My front steps have sunken and there is a gap at the top. Can they be raised? Generally, yes. There are some isolated circumstances where steps cannot be raised. If the steps are made of materials other than solid concrete or they are in a deteriorated condition, they may not be able to be raised. It is best to have your PC leveling representative examine the steps to provide you with a free quote or help advise you about your options for repair. It is important to note that the gap at the top and sides of the steps will usually not close. 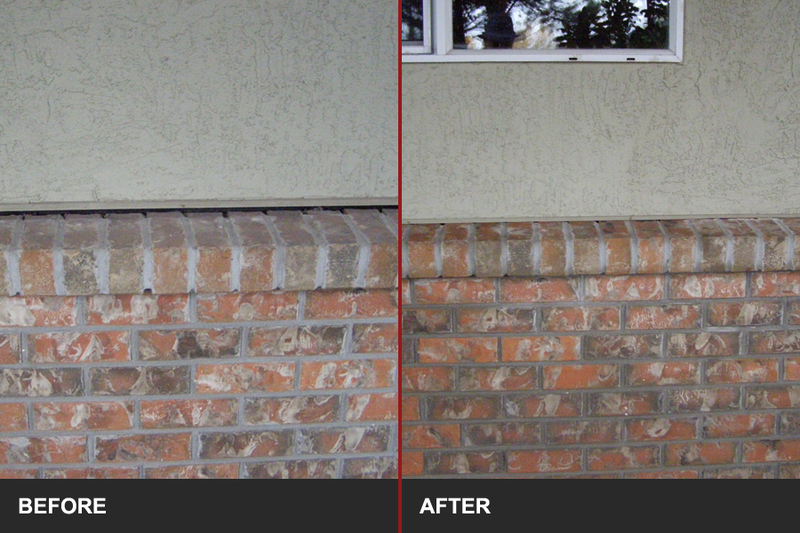 Most gaps can be sealed with polyurethane caulking to resist water penetration and provide an acceptable appearance. Tree roots have lifted my sidewalk. Can it be leveled? When one or more blocks have raised, the surrounding blocks can be raised to “even” the offsets. This technique results in a gradual slope that will eliminate the “trip hazards”. In some cases however, the tree roots lift the sidewalk too high to be properly evened. Voids are “pockets” of air or water beneath the concrete. They are created by erosion, poor compaction, or normal settling of clay or organic soils. these types of soils can cause big problems for buildings and concrete slabs. Concentrated loads, such as buildings or slabs can literally squeeze air and water from soils. When this happens, the soil sinks and the buildings or slabs follow closely behind. Since voids cannot be seen, filtering them is often quoted on a hourly (time and materials) basis. How long will concrete leveling or raising last? Although every situation is unique, concrete usually sinks because of water erosion, compaction of soil underneath the slab, or movement on an incline. Concrete Correction’s slab jacking process of filling voids with an extremely dense material dramatically improves the compaction of the underlying soil, however, some solids i.e. peat contain high levels of organic material and may be difficult to stabilize for long periods of time. Water erosion is probably the most critical issue. Improper drainage, broken or misaligned pipes or utilities, or surface cracks may allow water to “undermine” the soil under the slab. 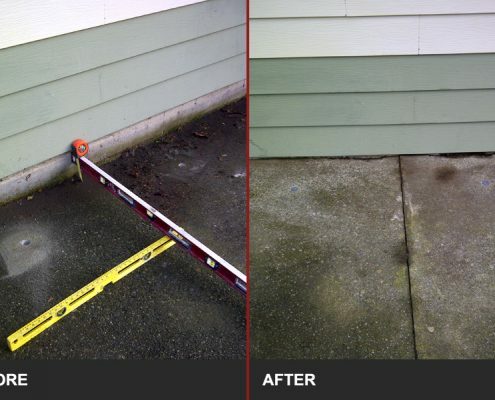 With proper drainage and sealing of cracks and missing expansion joints, leveling can last indefinitely. 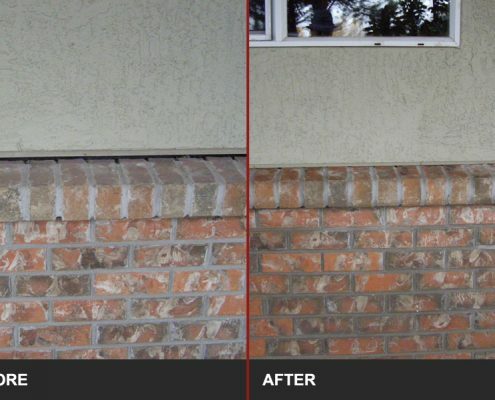 Polyurethane caulking is highly recommended for most concrete applications. How does concrete leveling compare in cost to other repair or replacement options? 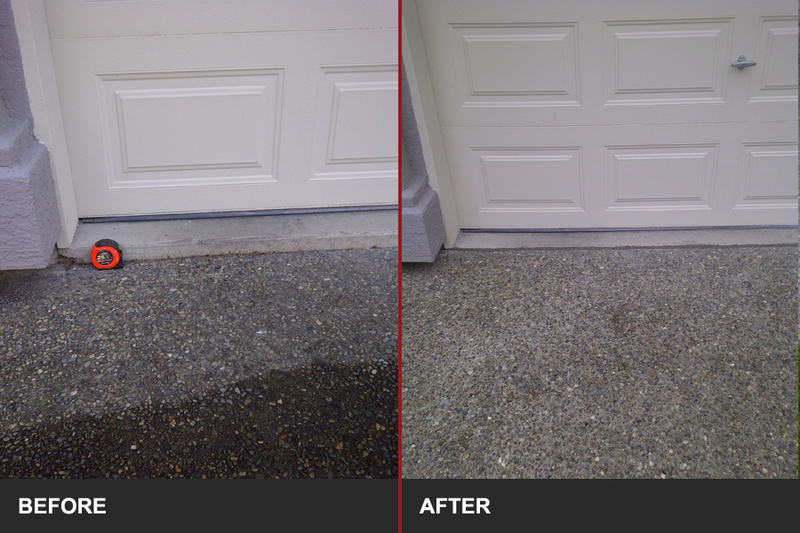 Concrete leveling usually saves our customer 50% to 75% over the cost of removal and replacement. Please bear in mind that if a partial replacement is done there will be a variation in color between the new and old pours. 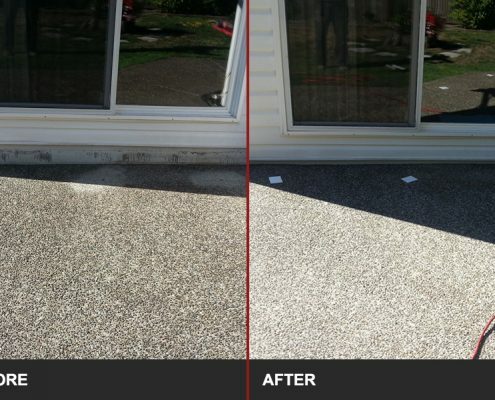 With concrete leveling, the continuity of color is maintained with the exception of the small 2″ holes used to inject the material. 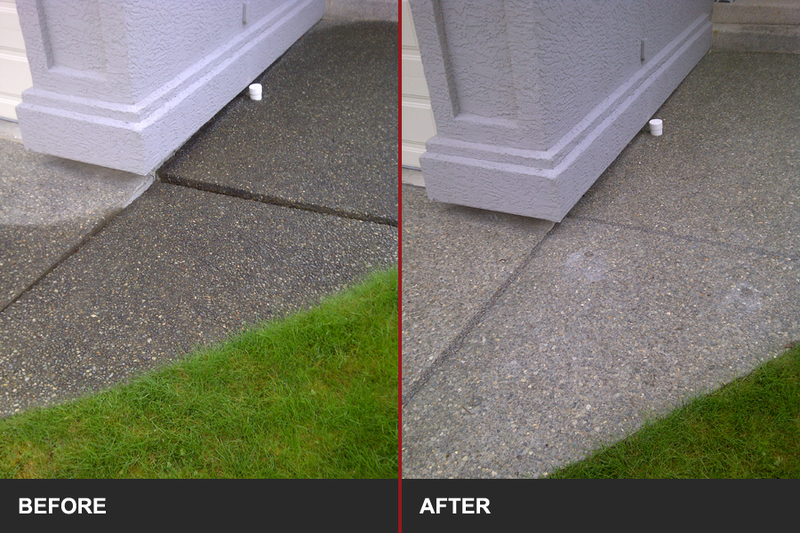 Providing expert concrete repair, driveway crack repair and aggregate driveway seals for Victoria, BC and Vancouver Island.